What is a “gentleman’s farm”? This term, which crops up in real estate listings, describes property where people farm just for fun rather than to make a living. Pull up an episode of the 1960s TV show “Green Acres,” starring Eddie Albert and Eva Gabor, and you’ll get the picture of this agricultural pursuit portrayed as a merry pastime, rather than a make-or-break grind where you battle locust swarms, blight, and other problems. Farming can be a good time! Gentleman’s farms are often lumped together with hobby farms—pleasure farms that aren’t necessarily on a big piece of property, but may literally be in your backyard. It’s often part of a larger estate, notes Christy Murdock Edgar, a real estate agent in Northern Virginia and Washington, DC. “Farming in this context might include raising fruits or vegetables, maintaining an orchard, or raising poultry or livestock,” she says. What you do on your gentleman’s farm is up to you. Grow lavender! Snuggle pygmy goats! Tend to pumpkins! Just keep in mind that even if you’re not pulling in cash, your taxes may be affected. 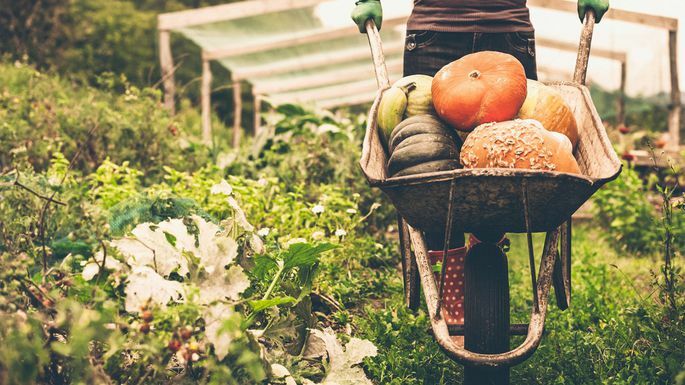 “Buying a hobby farm will have different implications depending on the state you live in and the size of your property,” explains Barry Richards, a broker with the EXIT Realty Garden Gate Team, in White House, TN. For instance, in much of Kentucky, any property that’s 10 acres or more automatically qualifies for agriculture tax exemptions. Richards cautions that county tax assessors do take steps to verify that you’re actually farming. In Tennessee, on the other hand, a seller is assessed a rollback tax if a property that’s previously been used for agricultural purposes is removed from the greenbelt. That means if you’re buying a working farm with a plan to maintain it only for your amusement and not for profit, the tax burden may be passed on to you in the purchase contract, notes Richards. So before you commit to this pastime, educate yourself on the specific issues facing agricultural property in your state, and consult a tax professional. Should you buy a gentleman’s farm? Charmed by the idea of working the land on the weekends? That’s understandable, but just know it’s still a lot of work. “I thought farming would be fun,” he says. Since buying his own hobby farm, he’s learned a few things: Frost kills plants. Fences can take all day to repair. It’s tough to find homes for all the organic, free-range eggs your chickens lay. And if you think it’s tricky finding someone to take care of your dog when you go out of town on vacation, imagine finding someone to watch your farm. Gentlemen and women, purchase your own green acres with caution.